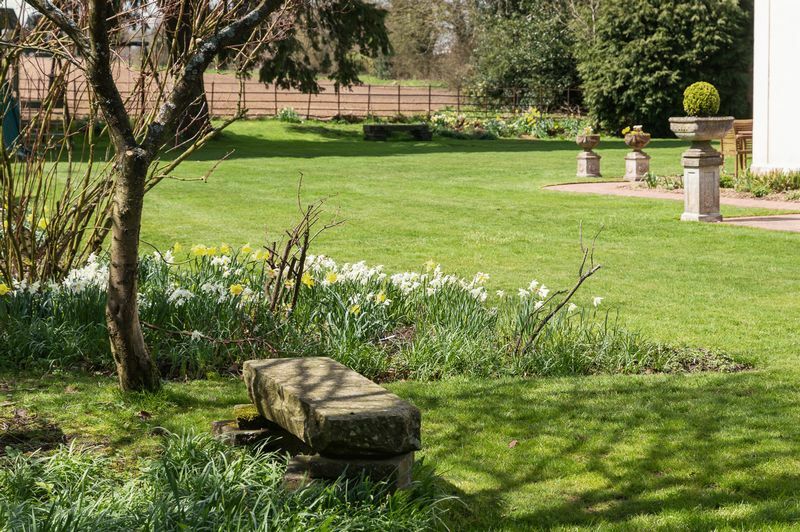 The Old Vicarage is a splendid seven bedroomed period property, with its own separate Coach House, set in approximately 1.3 acres in the popular village of Oakhill. 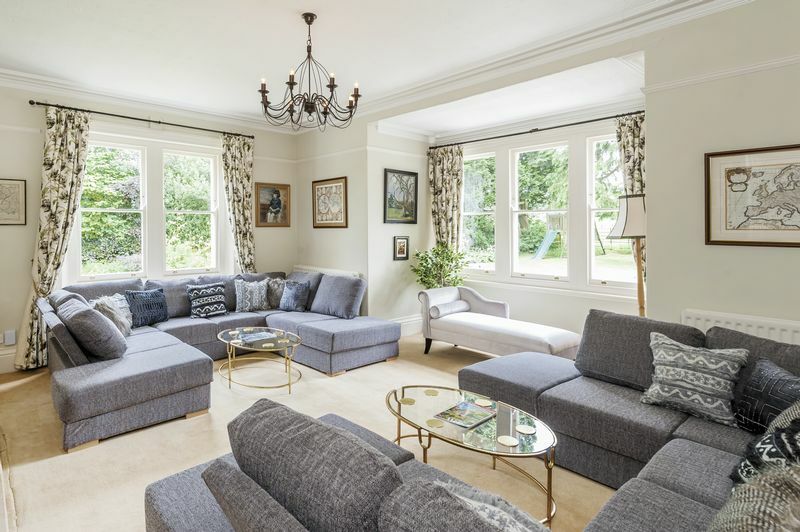 Dating back to 1890 this impressive property retains many original features and provides a wonderful family home which has a distinct feeling of grandeur created by the high ceilings and exceptionally generous accommodation. 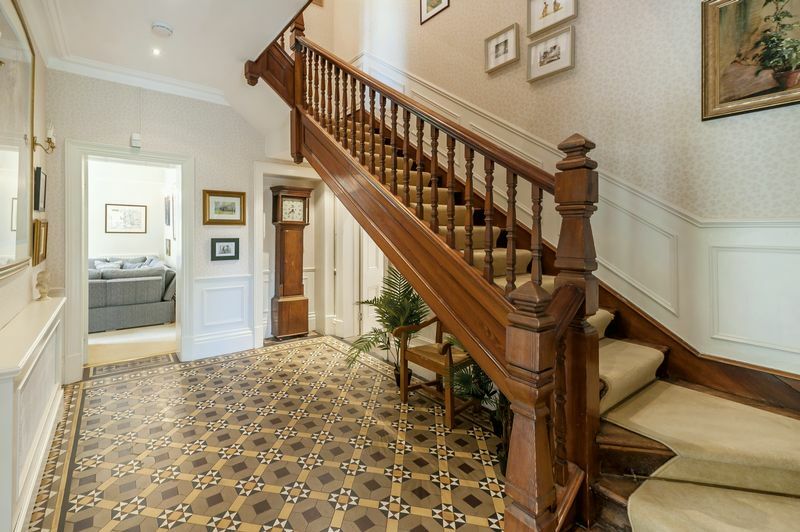 Upon entering into the hallway one’s eyes are instantly drawn to the original Victorian mosaic flooring and the impressive, sweeping, oak staircase. 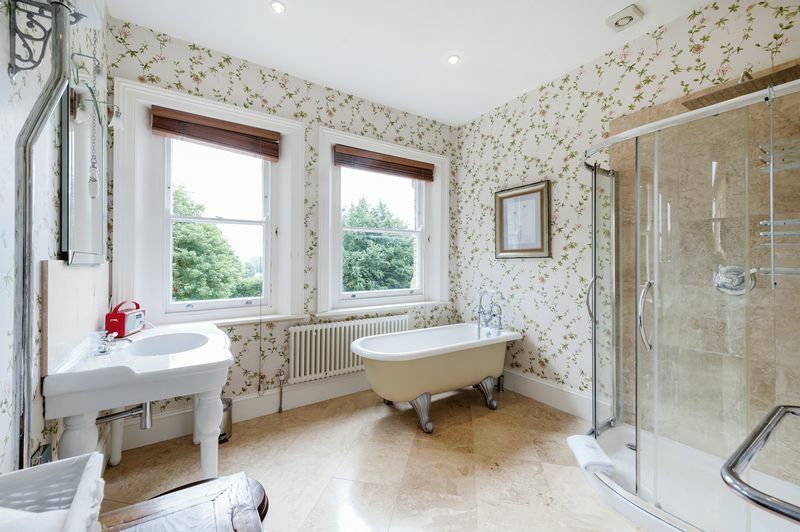 Leading from the hallway there is a fabulous, dual aspect, drawing room with wonderfully large windows overlooking the garden and plenty of space to relax in front of the Jet Master fire. 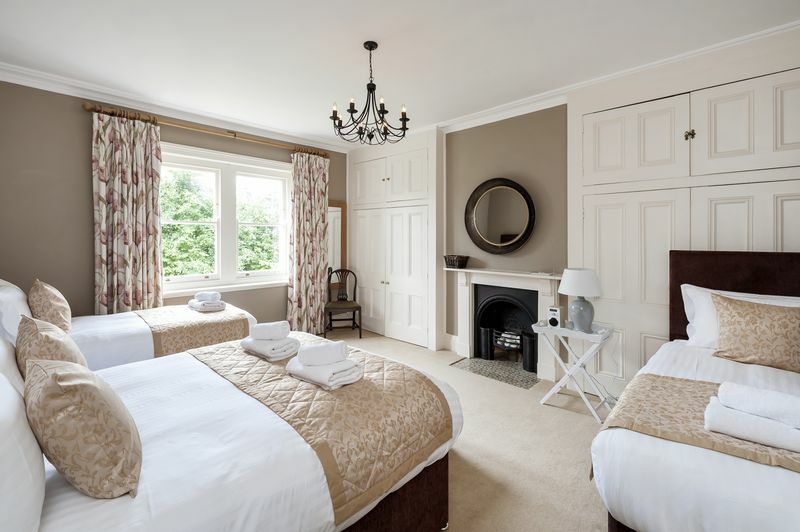 The second reception has a wonderful fireplace flanked by deep alcoves. 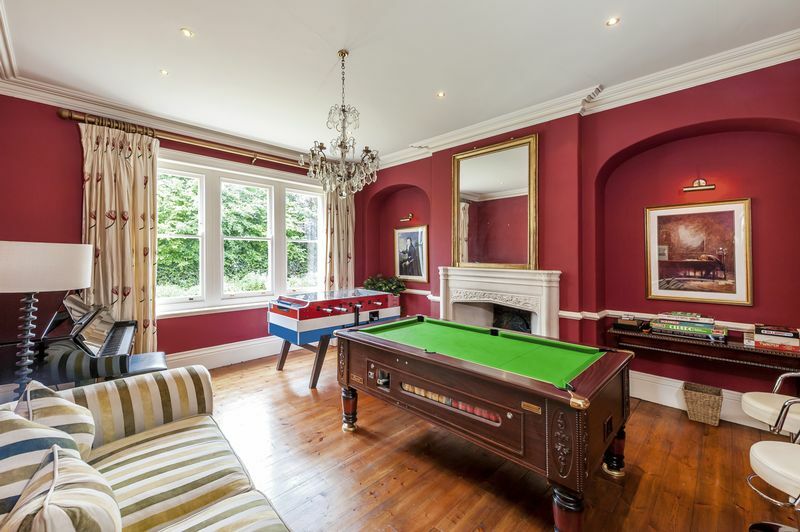 Currently used as a games room it could also be turned into an impressive dining room for entertaining. 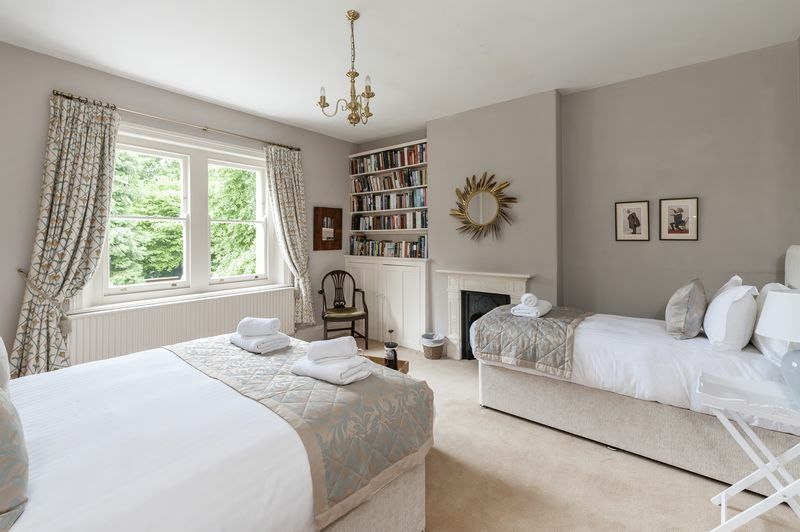 The third is an additional sitting room but could equally serve as a good sized study, again with views overlooking the garden. 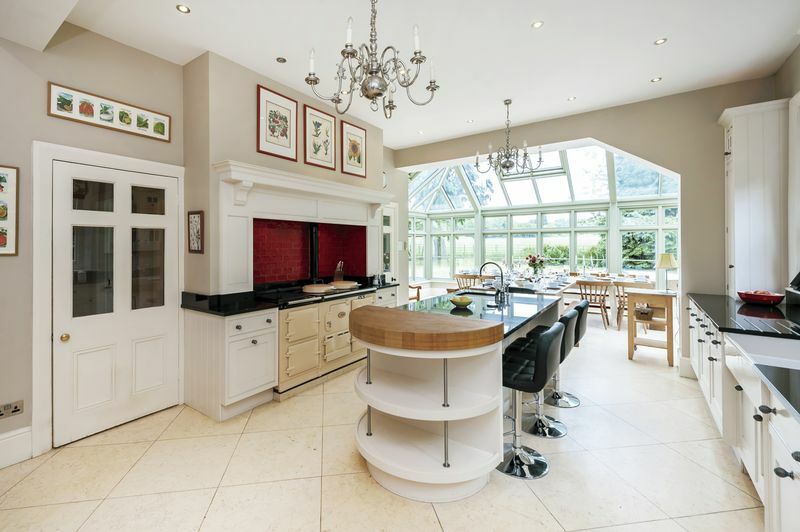 The heart of the home is a rather enviable kitchen crafted by the much revered company, Smallbone of Devizes. 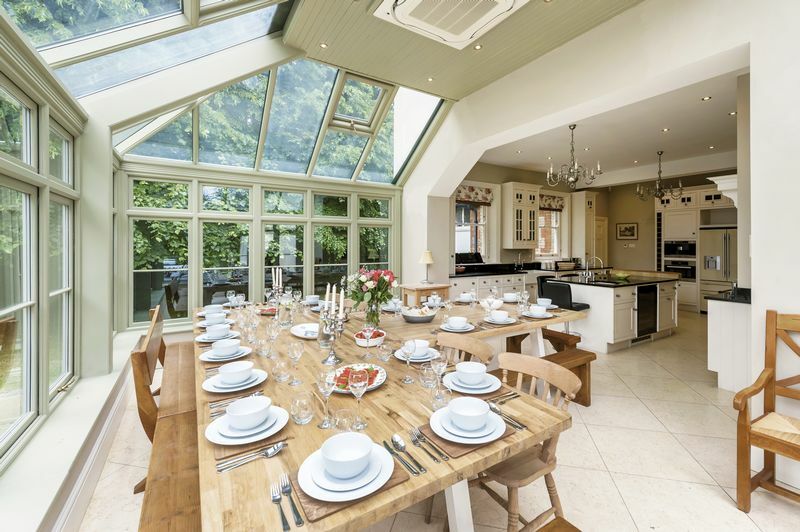 The kitchen has been extended with a glass orangery and therefore, not only does it have plenty of space for a dining table, it is beautifully floodlit with natural light. 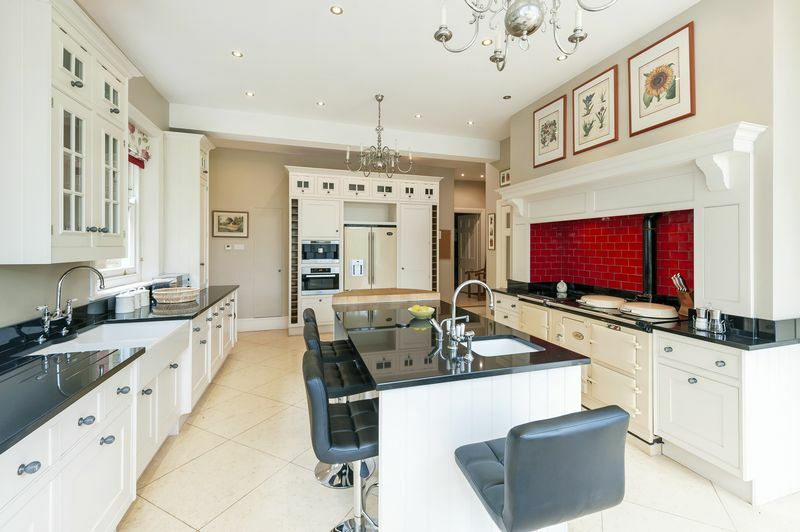 The kitchen comprises of a four oven Aga with electric hob, built in Miele appliances, underfloor heating, air conditioning and a built in sound system. 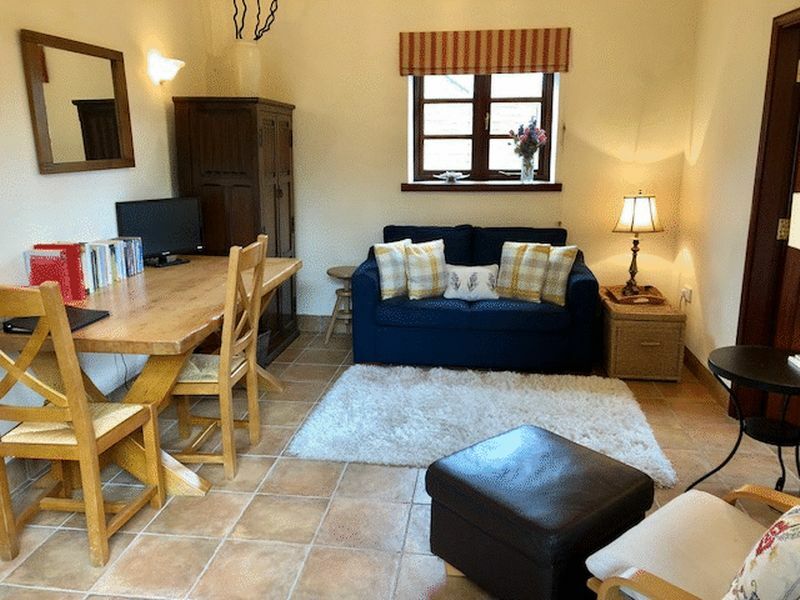 From the kitchen there is a utility room, boiler room, a good sized pantry, a second downstairs loo and a woodstore. 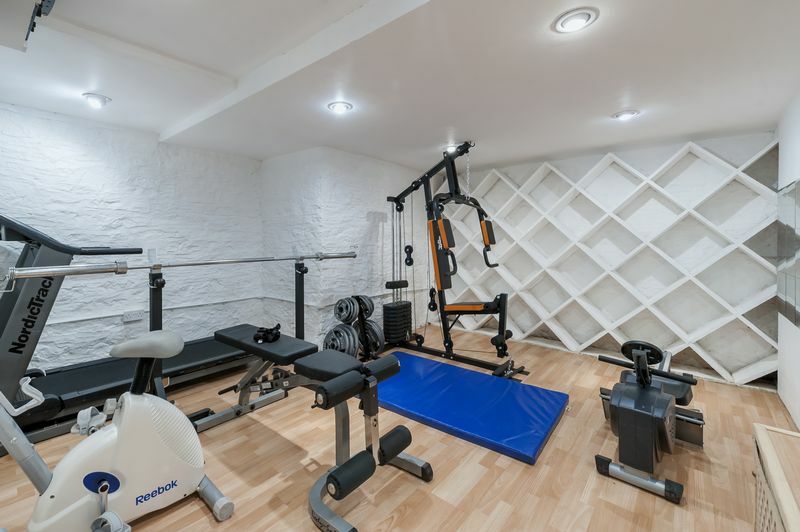 Also from the ground floor there is access down into the cellar which has been cleverly converted into an air-conditioned gym which includes all necessary cabling for audio visual systems. 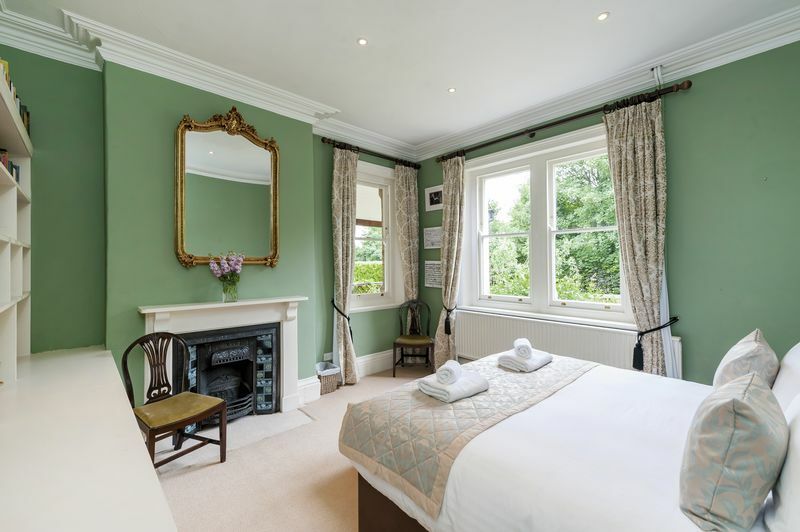 On the first floor there are six, beautifully presented, perfectly proportioned, double bedrooms all with fabulous large windows filling the rooms with light and all overlooking the garden. 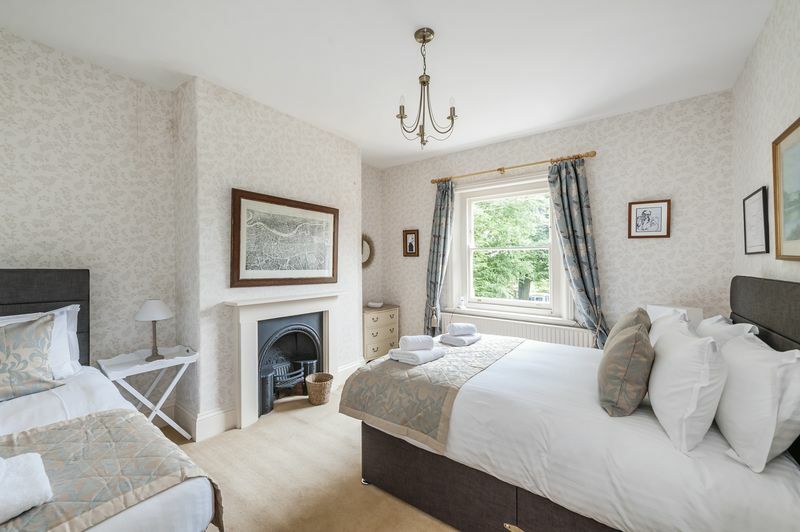 Original fireplaces, fitted Victorian wardrobes, cupboards and stunning cornicing continues the period feel throughout. 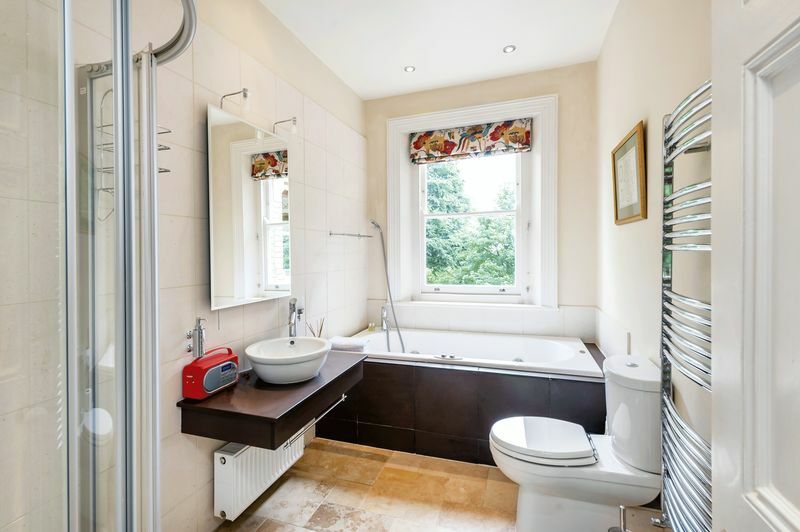 Two good sized family bathrooms service the first floor. 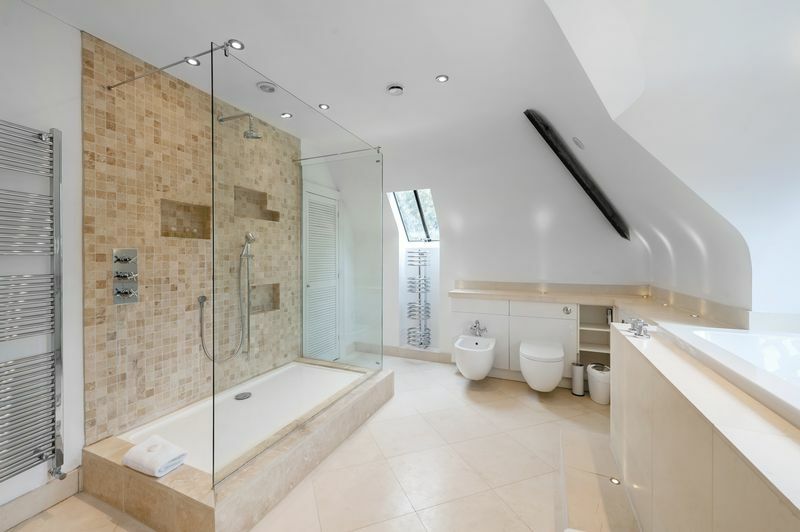 Each bathroom has been furnished tastefully using high end fixtures, fittings and limestone flooring from Mandarin Stone. 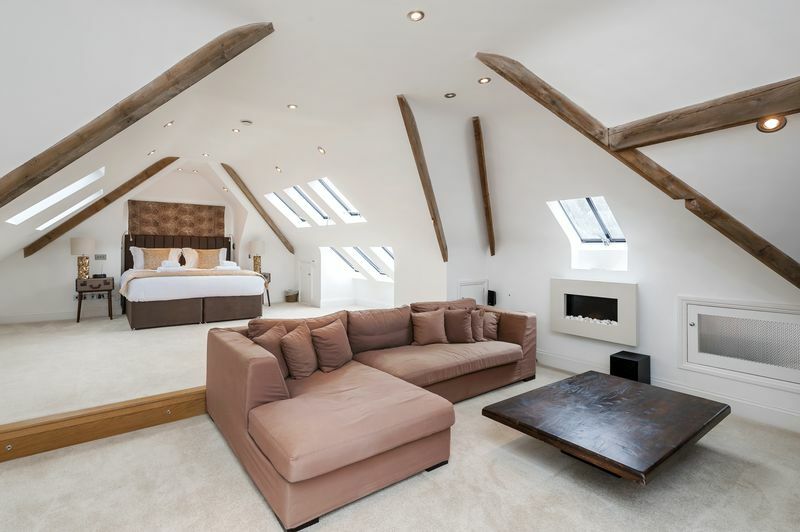 The second floor is entirely monopolised by an opulent master suite. 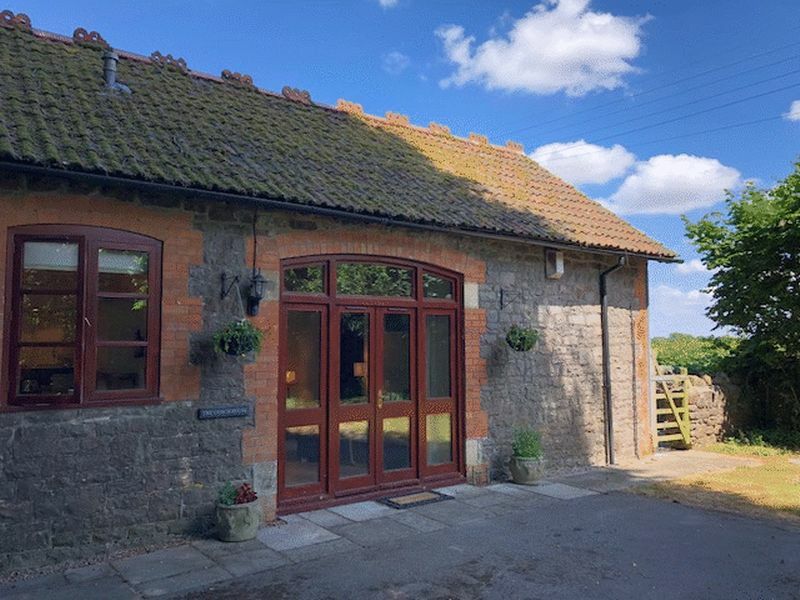 This award winning conversion comprises of an open plan bedroom with a large seating area, kitchen facilities, a large, luxurious, limestone bathroom and two dressing rooms. 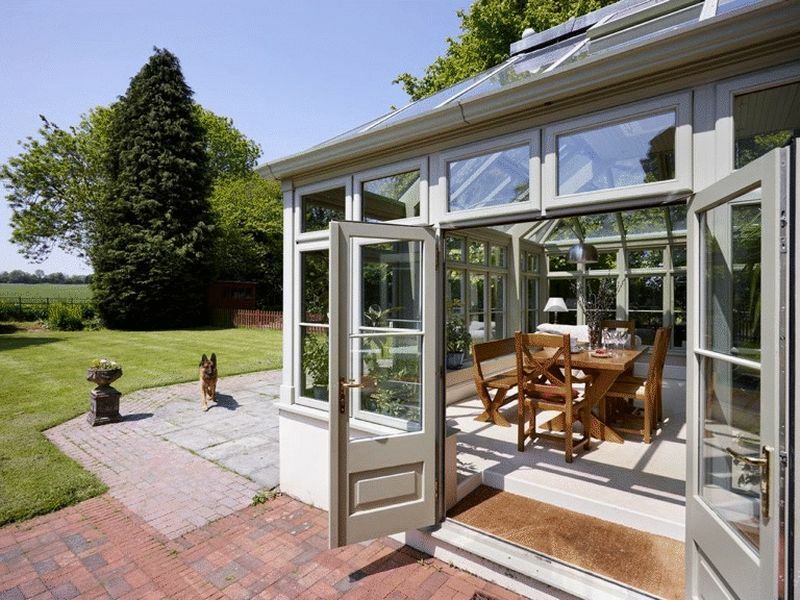 Within the roof space sits a glass crown which floods the room with natural light. 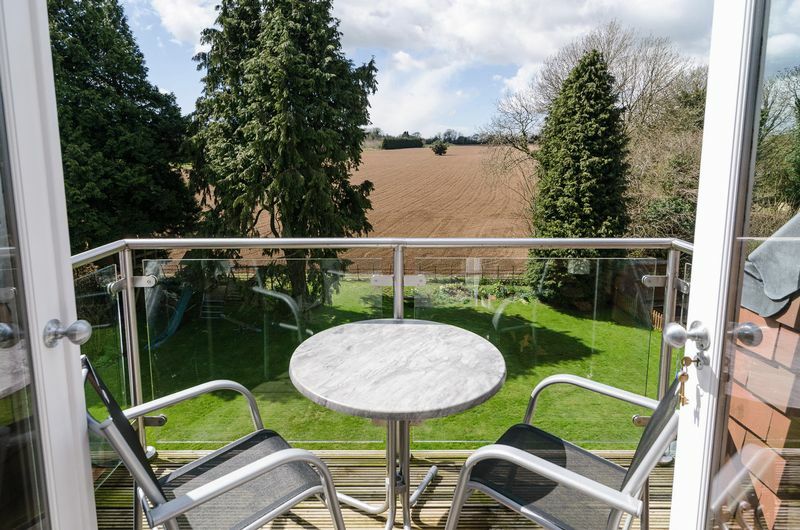 A balcony, with room for a table and chairs, enjoys far reaching views across the countryside, perfect for morning coffee on a summers day. 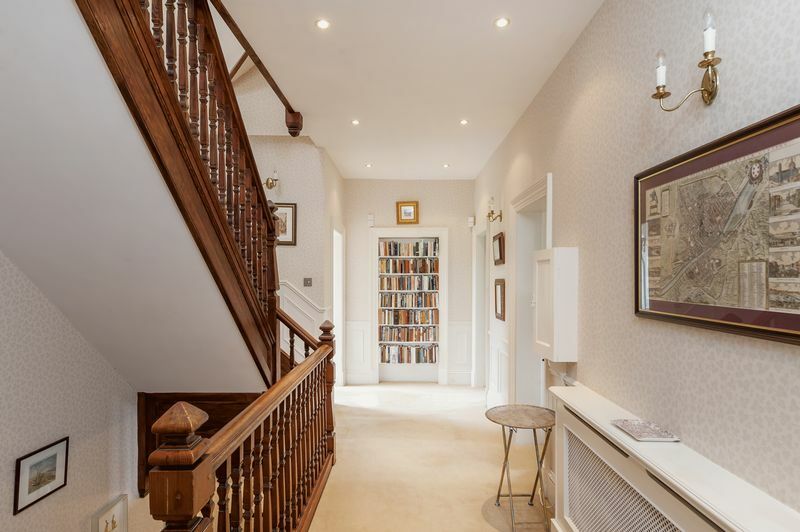 A secret staircase is hidden behind a door, cunningly disguised as a bookcase, leading back down to the first floor. 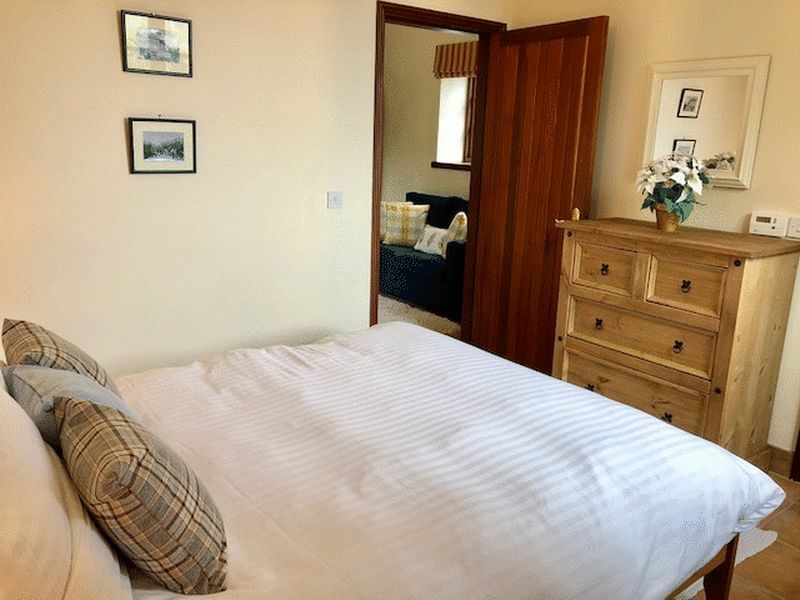 There is flexibility, due to the layout, to create a further additional bedroom if required. 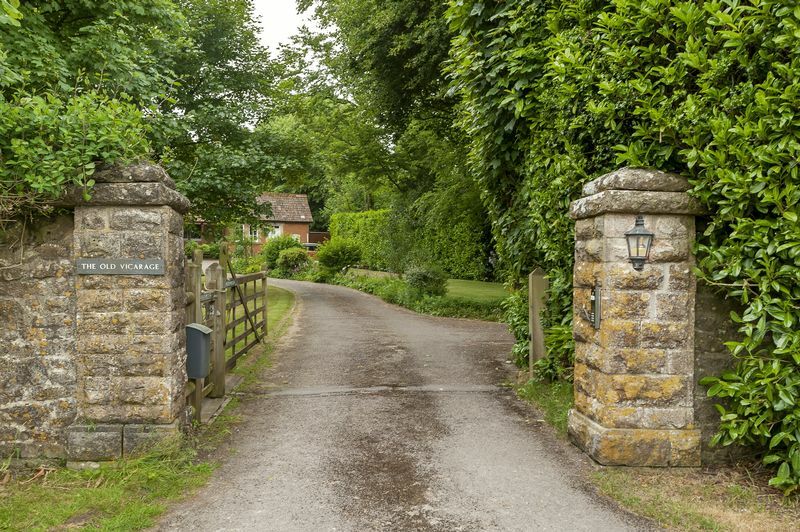 The property is accessed through an electric five bar gate which is controlled via an intercom system. 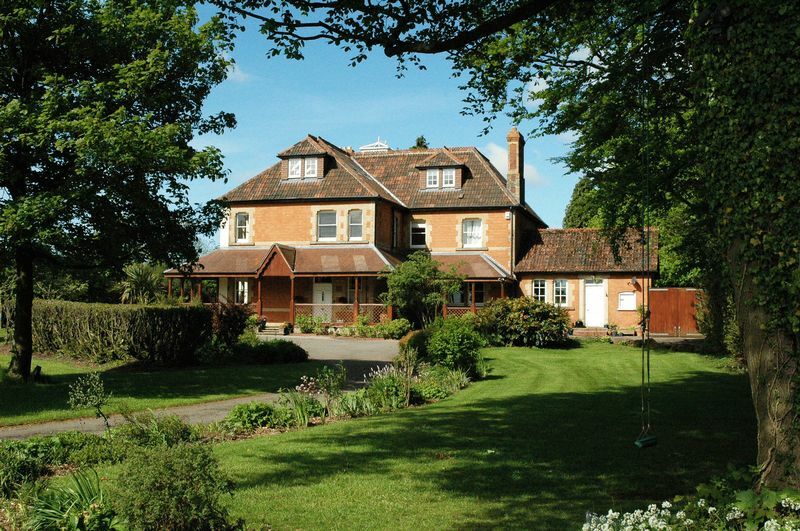 The driveway sweeps past the Coach House and continues further to reveal The Old Vicarage. 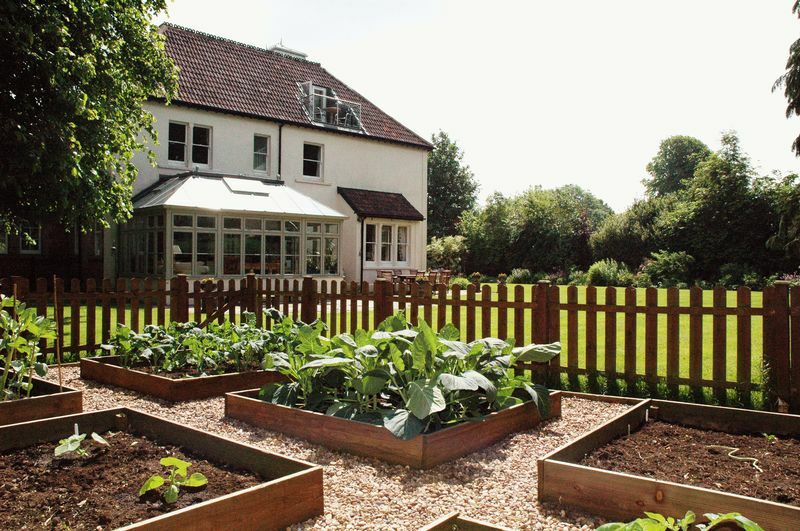 The garden wraps around the property and includes an outdoor dining area, an orchard with apple and pear trees, a vegetable garden, an abundance of mature trees and shrubs and is a secluded haven of peace and tranquility. There is a good sized double garage, a greenhouse and even a treehouse not to mention the Nordic wood-fired hot-tub which seats 10 people, imported from Sweden (Skarsgard) which was newly installed in May 2018 and features water jets, underwater lighting and a filtration system, situated to the rear of the house, overlooking the wonderful rural views. 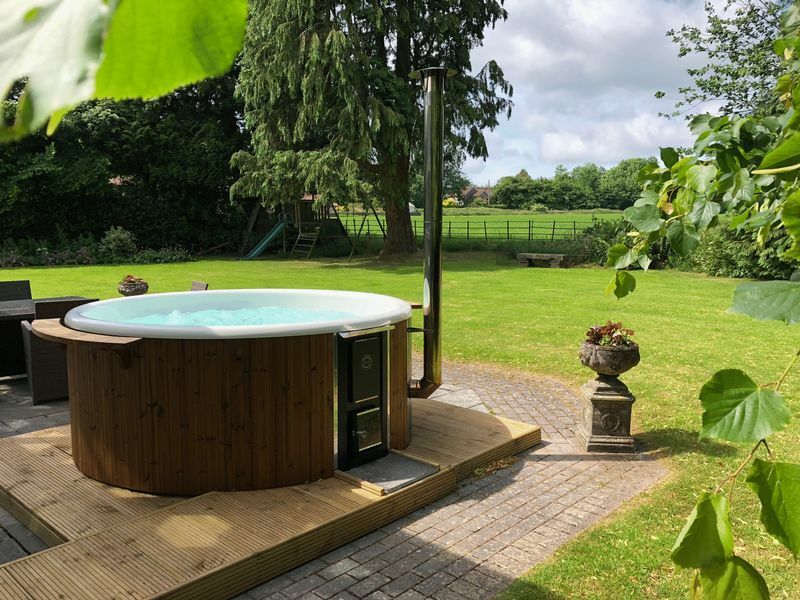 The Old Vicarage is in the picturesque Somerset village of Oakhill approximately 14 miles south of the City of Bath and approximately 6 miles from Wells. 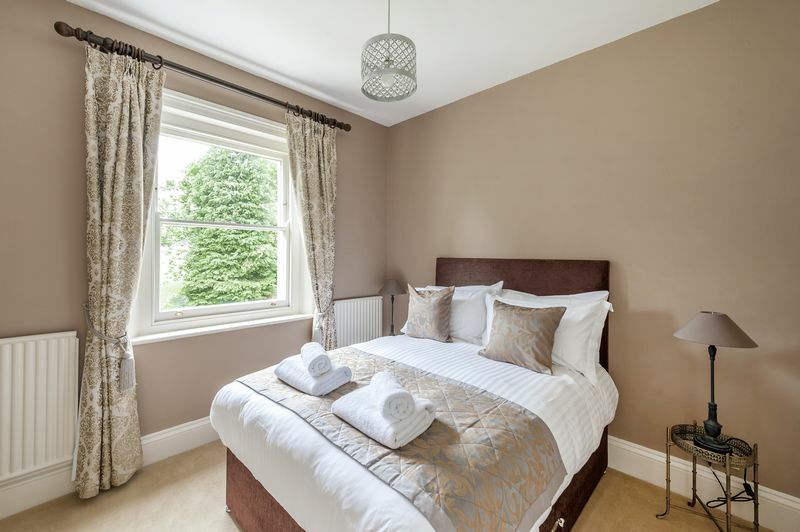 The village has a thriving community and includes The Oakhill Inn, which is a very popular gastro pub, a doctors surgery and a primary school. Just one mile (15 minute walk) from the Old Vicarage is an excellent village shop/Post Office in the neighbouring village of Gurney Slade where you can buy your groceries and newspapers (if you didnt feel like walking to collect your papers then you can always get them delivered). 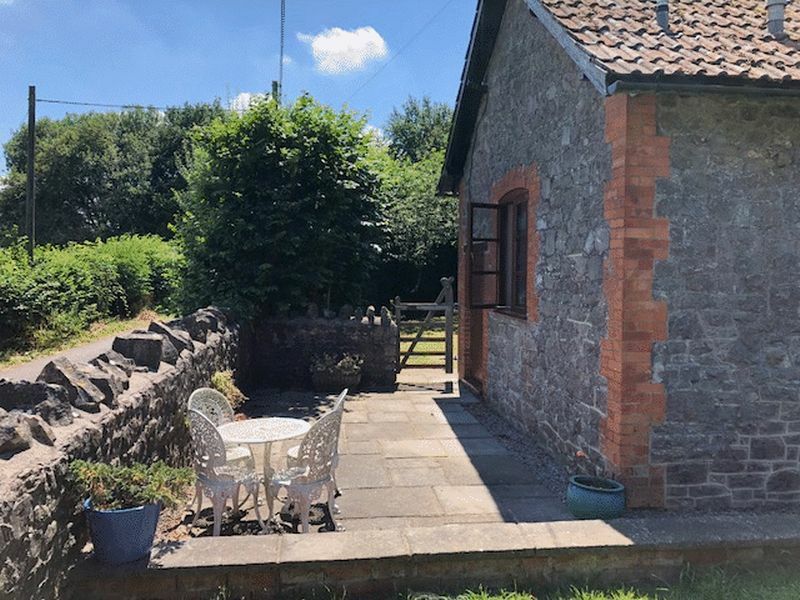 The fashionable market town of Frome is one of the South West's leading market towns and was recently featured in the Sunday Times as the best place to live in Somerset. It has become a "foodie hipster haven" due to the influx of young families, with St Catherine's Hill at the centre of the artisan quarter. The town has a comprehensive choice of retail outlets and all the usual amenities. 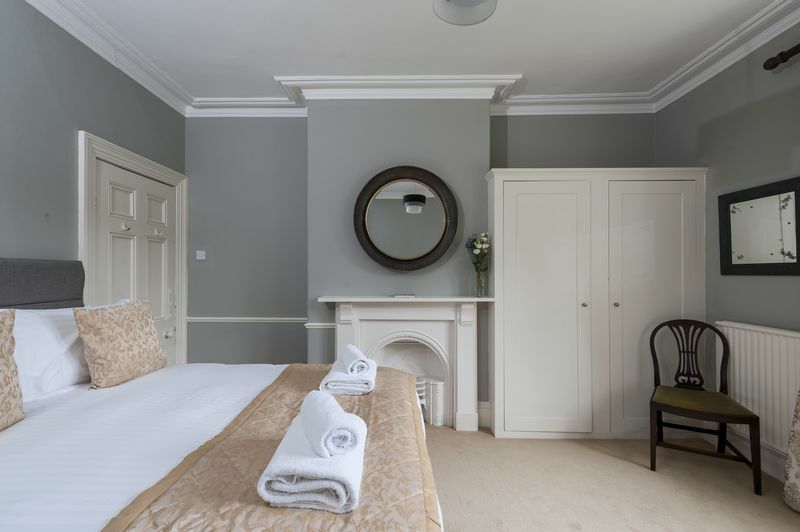 Bruton is now well known for the award winning “At the Chapel” restaurant and the Hauser & Wirth gallery are a short drive away as is, Babington House and private members club (Soho House’s country mansion). Other recreational pursuits such as golf, racing, shooting and fishing are catered for within easy distance. 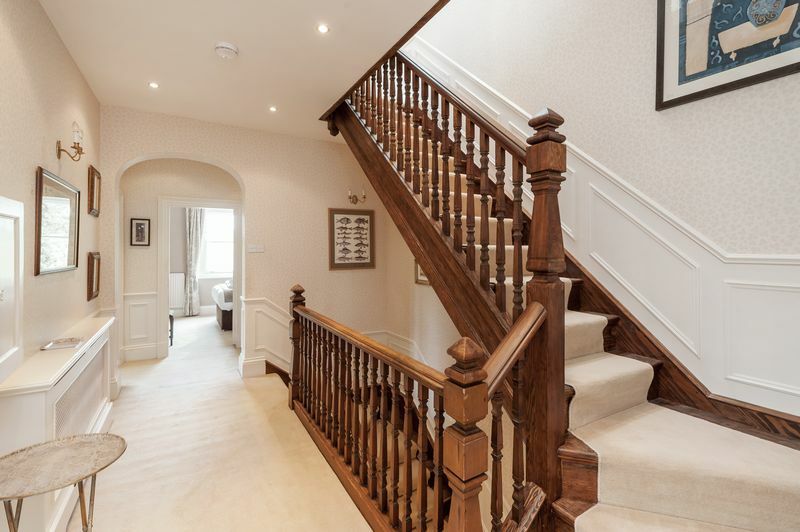 The secondary state schools are excellent, Wells Blue School and Writhlington School are close by as well as the independent schools including All Hallows Prep School, Wells Cathedral, Millfield, Downside and several more choices in and around Bath. 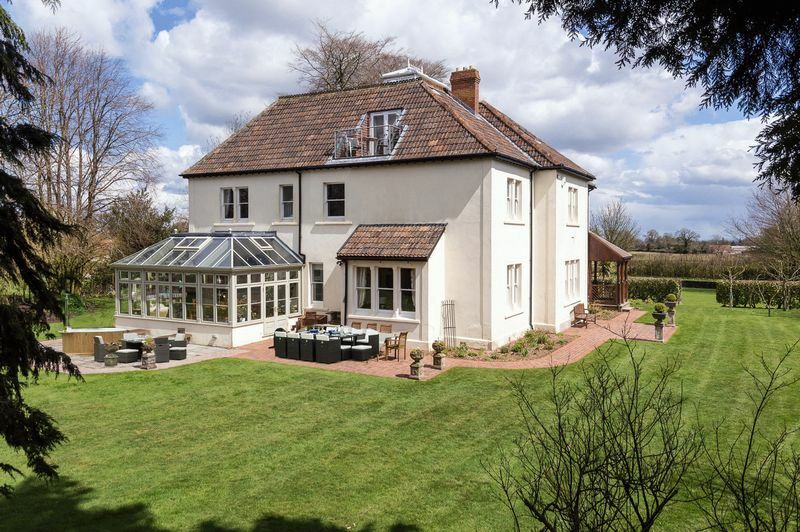 The Old Vicarage is well located for both Bristol (18 miles) and Bath (14 miles) with excellent access to the M4/M5 and mainline stations. There are also trains that run from Castle Cary (approximately 11 miles) to London Paddington taking approximately 90 minutes. Bristol Airport is 17 miles away. 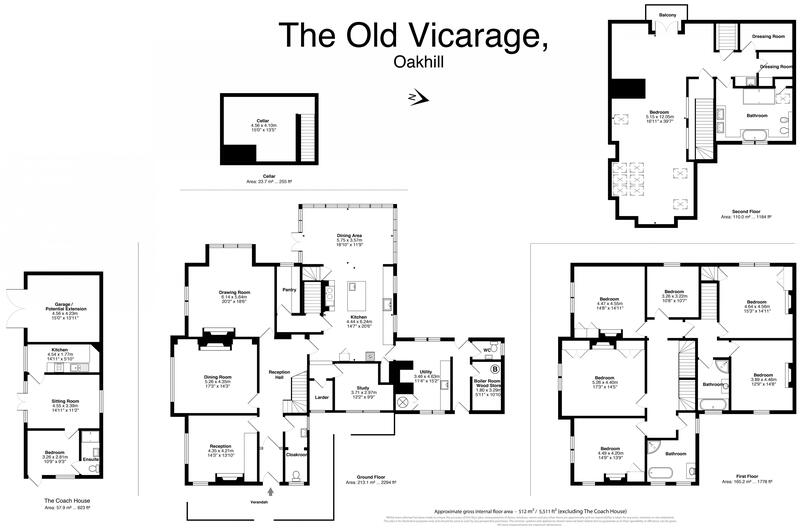 The Old Vicarage can be approached from A367 and A37 in the village of Oakhill. 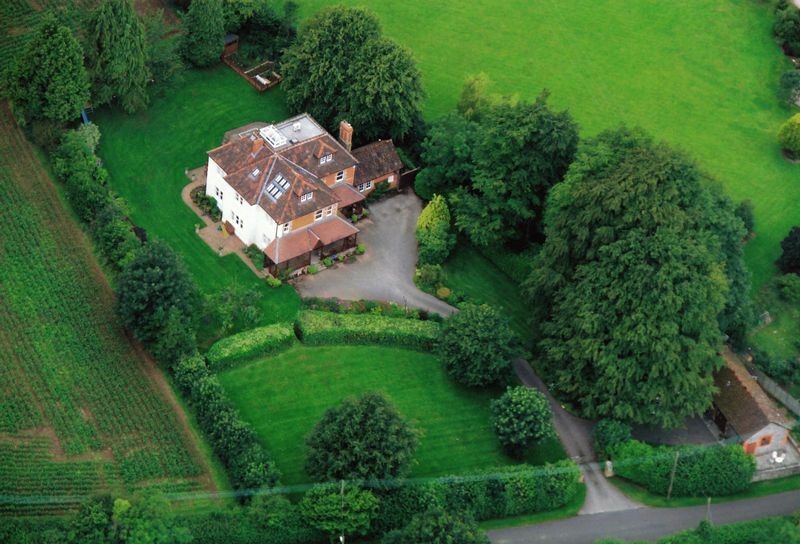 The property does not share its postcode with any other, so satnav should bring you directly to the house.